In our last post, “Where Should I Qualify as a Foreign Corporation or LLC?” we discussed the complexities of determining whether or not a company was required to register or qualify as a foreign entity in a given state. A company does not want to register needlessly, as there are annual fees and taxes due upon registration in most states; for example, California charges a minimum franchise tax of $800 annually. However, it is important to properly register and make the required filings to maintain that registration to avoid a number of negative consequences and penalties outlined below. Inability to Initiate a Lawsuit: The laws of most states indicate that a company cannot bring suit in a court of law, unless it is registered to do business in that state. In many states, the court may issue a stay until such time as an unregistered company qualifies, but the decision to do that is at the court’s discretion. Significant Delays: In some states, it can take a very long time to register if the company has been doing business in the state prior to registration. For example, a New York corporation is required to indicate on the Application for Authority either that they have not been doing business in N.Y. prior to registration or attach the consent of the New York State Tax Commission. Obtaining this consent requires the submission of a “Statement of Activities” form to the N.Y. State Department of Tax and Finance, which will review its records to determine whether the entity has been paying the required taxes and issue consent. It is not uncommon for a corporation to wait six months for the consent to be issued. These delays can cause serious issues if the company is hoping to bring suit or trying to arrange financing or licensing, as being properly registered is often required in these cases. Monetary Penalties: Many states penalize companies monetarily when they do not register in a timely way. Paying all back taxes and fees from the time the company began doing business is a common requirement and many states also add penalties and/or interest. While states often cap these penalties, they can still often be extremely high, for example Nevada’s cap is $10,000 per year. States are also actively pursuing companies when it is determined they are operating in the state without having registered. Connecticut collected 1.8 million dollars in 2015 from unregistered companies doing business there. 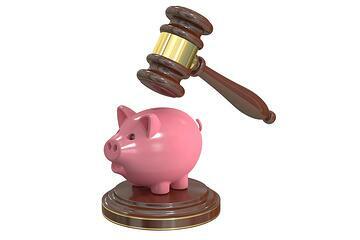 The highest penalty levied was $46,740. Penalties Imposed on Officers, Directors and Registered Agents: The statutes for a handful of states indicate that penalties can be imposed on the directors, officers or agents if their company transacts business without registering. California is one of these states. Section 2259 of the California Corporations Code indicates that a person who “transacts intrastate business on behalf of a foreign corporation, knowing that it is not so authorized, is guilty of a misdemeanor”. Once an entity is registered as a foreign corporation, it usually needs to regularly file periodic reports and, in some states, pay franchise or income taxes to maintain that registration. Failure to do so results in the company falling out of “good standing”. There are a number of penalties for falling out of good standing. Inability to Bring Suit: A court can determine that a company that is revoked or voided has no more standing to bring suit in state court than a company that never registered at all. Difficulty in Obtaining Financing: A Good Standing Certificate from every state where the company is doing business is a common requirement for loan agreements and financing. A company will need to remedy any voided or revoked registrations before it is able to obtain a loan. May Be in Breach of Representation and Warranties Under Financing Agreements: Financial agreements often contain representation and warranty clauses that require the company to maintain its good standing status. Losing that status could mean the company is in breach of the “reps” and warranties. Time Consuming and Expensive to Remedy the Situation: Depending on the state, it can be as difficult and time consuming to reinstate a company in bad standing as it is to authorize a company that was doing business prior to qualification. In some states, such as Maine, Utah and Washington among others, reinstatement is not permitted at all; the company must submit a brand new qualification. A consequence of this scenario is the company loses the historical legacy of being formally registered since it first began doing business in the state. Determining whether a company needs to register to do business is not always a simple black and white question. Consultation with an attorney who can analyze the specific fact pattern and frequency of your business and know what the statutory requirements are in any state is recommended. Simply opting not to register is not a good solution, and can lead to penalties, fines and the other problems outlined above. When a company transacts business in a state, it is expected to familiarize itself with the laws of that state and ensure compliance. Failure to do so, either by not registering to begin with or not maintaining its registration can be expensive! A service company with good nationwide experience can ensure that the registration process goes smoothly and some companies can also assist with maintaining those registrations to minimize/eliminate the danger of losing good standing later on. Learn more about this topic by attending the COGENCY GLOBAL INC. CLE seminar, “Qualification and Registration: When, Why and How?”, in Chicago on Tuesday, October 4, 2016.